I saw a quote on social media Thursday attributed to motivational speaker Tony Robbins. Robbins, know for his positive outlook on life, must also be a mind-reader. He has obviously been living inside my head since Monday. As many of you know, the Galion Inquirer and the other newspapers in Ohio that were owned by Civitas Media, were purchased last summer by Aim Media. Aim Media owns many other newspapers, including a bunch of dailies in Texas. The company formed a new group called Aim Media Midwest, which is made up of all the newspapers in the Ohio group and one out of state paper. The Inquirer, Bellville Star and Morrow County Sentinel — three papers which I oversee — were included in that sale. This week, the company switched from a Civitas Media server to an Aim Media server. If you’re familiar with computers, you know what I’m talking about. If your computer knowledge is minimal, as is mine, you kind of have clue about what that involves, but not really. Anyway, to say this week has been filled with trials and tribulation and a lot of angst is an understatement. Still, the glitches are fewer and farther between and there appears to be a light at the end of the tunnel on the Galion Inquirer’s journey back to normalcy. But here is the most important part of this column. Galion Inquirer email addresses have changed. AGAIN, GALION INQUIRER EMAIL ADDRESSES HAVE CHANGED. Readers who have been sending email to the Galion Inquirer should make sure it is addressed properly. If you send something to me — editor Russ Kent — it should be addressed to rkent@aimmediamidwest.com. If you have a sports announcement, it should go to galsports@aimmediamidwest.com; If you have a general news story, it should go to galnews@aimmediamidwest.com; Obituaries should be emailed to galobits@aimmediamidwest.com. I have access to all of these mail boxes. Sports reporter Chad Clinger is at cclinger@aimmediamidwest.com or galsports@aimmediamidwest.com. Reporter photographer Erin Miller is at emiller@aimmediamidwest.com or galnews@aimmediamidwest.com. Erin also has access to the galobits@aimmediamidwest.com address. Unfortunately, as of Friday morning, the galnews, galsports and galobits email addresses are still being switched to the new server and are not yet working, so there is a chance something emailed to use since Sunday evening was never received. The email address for office manager Angie Caldwell is acaldwell@aimmediamidwest.com. The email address for customer service representative Joann Armstrong is jarmstrong@aimmediamidwest.com. Email general manger Vicki Taylor at vtaylor@aimmediamidwest.com. Again, if you are sending email to any of us at the Galion Inquirer with an @civitasmedia address, it will no longer get to us. 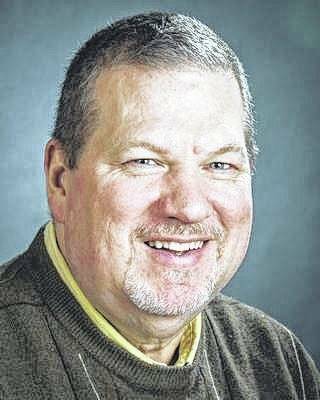 If you emailed something to us in the past few days, and it has not yet appeared in the Wednesday or Saturday print edition, or on our website galioninquirer.com, we likely never received it. Please use the @aimmediamidwest.com address and send it to as again. The phone number at the Galion Inquirer has not changed. It is 419-468-1117. Officer hours are 9 a.m. to 4 p.m. Monday through Friday.